Scientists say that women were more likely to die young the more sugary drinks they consumed. 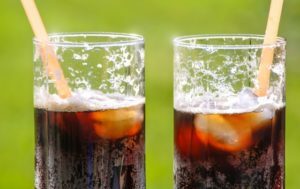 “Our results provide further support to limit intake of sugar-sweetened beverages (SSBs) and to replace them with other drinks, preferably water, to improve overall health and longevity,” said Dr. Vasanti Malik, who led the study at Harvard Uni in the US. You can watch part of her talk below. Read the entire article by Gemma Mullin at The Sun. Have you cut soda from your diet? Let us know on Facebook! This entry was posted in Science by Culminant Health. Bookmark the permalink.